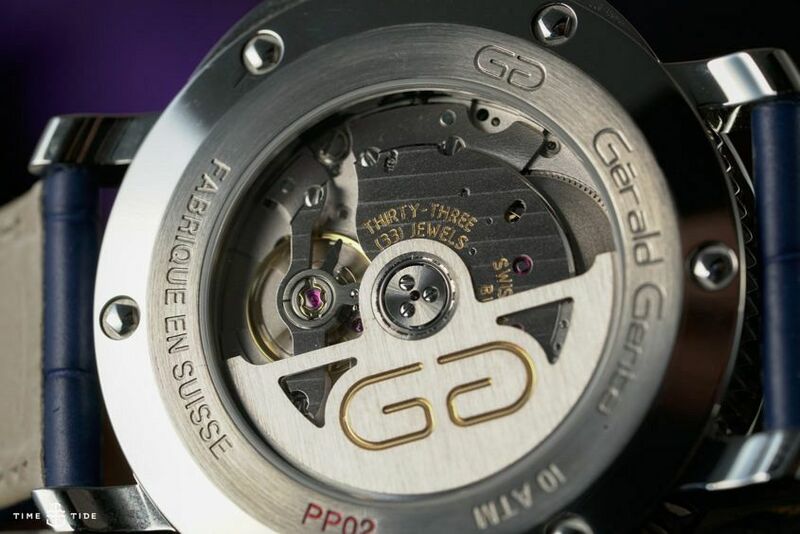 Few names loom larger in the collective consciousness of horological history than Gérald Genta. He’s one of the few individual designers whose name — because of the strength of his work — stands as tall as the great houses for whom he worked. But later in his career, Genta launched his own eponymous brand which demonstrated a penchant for retrograde displays and Disney characters. Eventually, the Genta brand was acquired by Bulgari, who have continued to evolve some of the great designer’s works under their own name, and to great effect. Which was why this watch, presented recently in Geneva, was such a surprise. 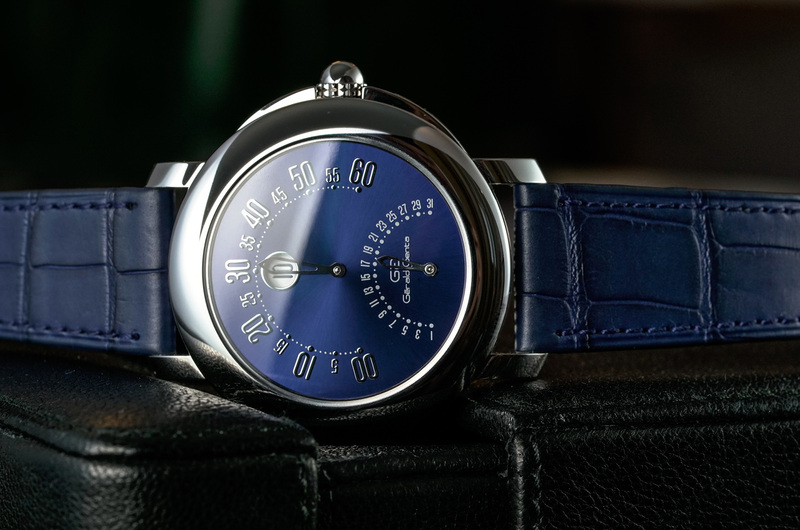 This special edition platinum piece has been made to honour the 50th anniversary of the founding of the Gérald Genta brand, and it does so in a remarkably faithful way. 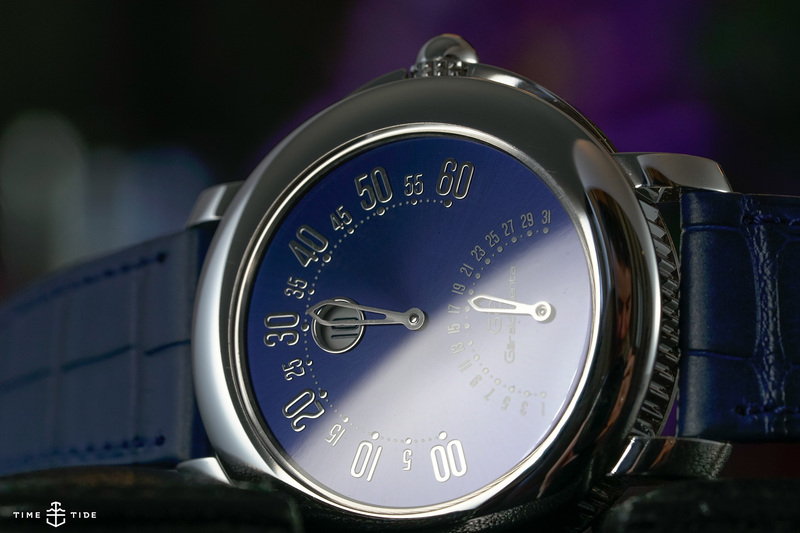 The DNA of this watch, with the double retrograde movement and stylised, rounded case, is very Genta. Sure, it’s been toned down a little with a simple blue sunburst dial, the characteristic typeface (just check out that GG logo and text at the bottom of the dial — outstanding!) and a case that features Genta’s trademark crown. When I spoke to Fabrizio Buonamassa Stigliani – Bulgari’s Director of Watch Design – about this watch, and whether it marked a return of the Genta name, he was somewhat reticent, saying that, for now, plans only extended to this special piece. But who knows, if this 50th Anniversary Watch is popular, we might see more down the track.